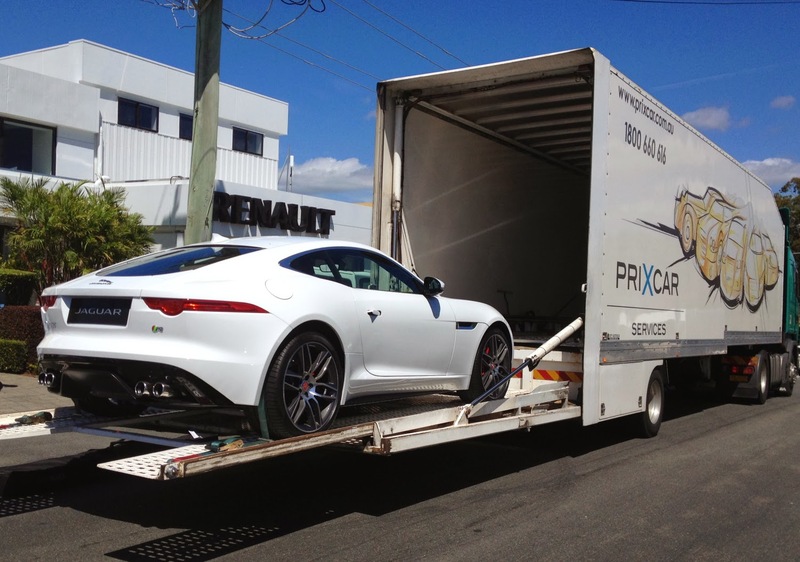 Jaguar Australia has managed to snag a LHD F-type coupe for a roadshow around its dealer network, and today it arrived on Queensland's perenially-sunny Gold Coast for a discreet cocktail party of a 100 invited guests! Never mind its dealership reveal, celebrated with champagne and sausage rolls, Sunshine Jaguar has already taken a cash deposit on one, and several more orders appear to be in the pipeline. Jaguar Cars North America also reports interest in the coupe is intense, perhaps even exceeding the build-up to the convertible! This could turn out to be the "new Jaguar's" most successful model. When I fly in for next week's Salon d'Auto Internationale in Geneva I expect to see a smiling Ian Callum receiving an ovation from the media for his work on this car. On Tuesday night, as is tradition in Geneva, Ian and I will join a multitude of car designers for a simple dinner (steak with mustard sauce, chopped lettuce and pommes frite) at the famous Cafe de Paris, where we will no doubt hear backhanded bouqets for the Jaguar designer, and consume many bottles of the local Swiss red wine. Very appropriate!